9 Frame motorised extractor. This new version has a welded bottom with the tap position further down to allow for better drainage. 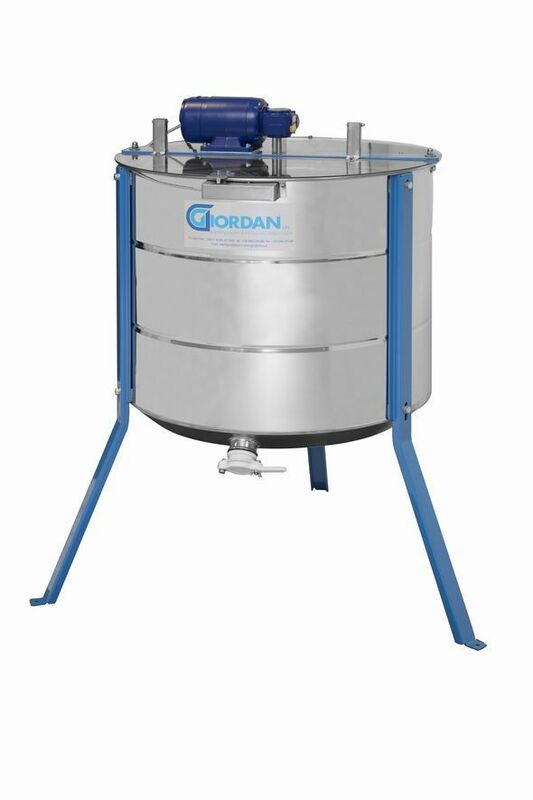 Manufactured in 18/10 grade stainless steel each extractor is supplied with 3 screens to allow tangential extraction of Brood frames and plastic drain tap (chromed brass tap available £ 35.00 extra). Weight approximately 20kg Extractor cages can be adapted to suit most frame types - please ask for details. Extractor cages can be adapted to suit most frame types and will take all super frames radially. 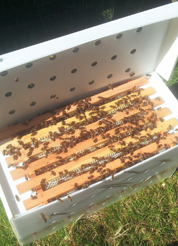 The cages allow for tangential extraction of brood frames and they do take national, commercial, 14x12 and Langstroth brood frames. All Extractor orders are delivered and the delivery cost is included in the price shown.